If you're someone who derives thrill and excitement by playing in a land based casino but stepping out of your house seems like a task for you, then Casino Leader has the perfect solution for you. 138.com Casino is offering a very lucrative bonus for all the new Live Casino players. So now you can play casino games from the comforts of your home anytime! Up for grabs is a chance to double your deposit by up to £200 by making a minimum deposit of £10 only! Continue scrolling to know more details! 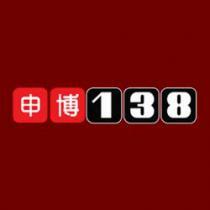 How Can I claim the Live Casino Sign up Offer at 138.com Casino? Prior to requesting a withdrawal, the bonus must be wagered 40 times on eligible games. The initial deposit must be wagered on Live Casino Games, where bets or wagers placed on regular casino games, sports and virtual games are excluded. Deposits made via E-Wallets like Skrill or Neteller do not qualify for this promotion. Under this promotion, the maximum stake allowed per bet is £20. The maximum winnings that can be withdrawn as part of this bonus offer is £10,000. Apart from 138.com Casino bonuses & promotions, find other latest casino promotions ranging between No Deposit & Deposit Bonuses along with their bonus/promo codes here!